Bayes Theorem is an important approach in statistics for testing hypotheses and deriving estimates. Bayes’ theorem (alternatively Bayes’ law or Bayes’ rule, also written as Bayes’s theorem) describes the probability of an event, based on prior knowledge of conditions that might be related to the event. For example, if cancer is related to age, then, using Bayes’ theorem, a person’s age can be used to more accurately assess the probability that they have cancer, compared to the assessment of the probability of cancer made without knowledge of the person’s age. The vertical bar | stands for “given that”. A & B are events. 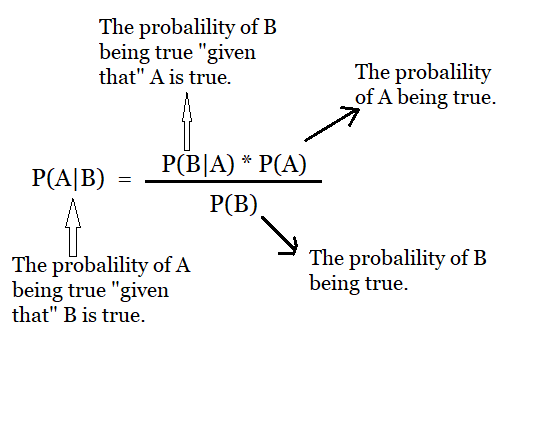 P(A) & P(B) are the probabilities of events A and B. Each event is separate from the other. P(A|B) is the probability of A being true given that event B is true. Say we have 2 coolers at an Owambe: Cooler A is filled with 10 packs of small chops only. Cooler B has 5 packs of small chops and 5 packs of Asun. We have a total of 20 packs in both coolers. You are then asked to close your eyes and pick a pack out of one cooler, which pack would you pick? Because you know that we have more of small chops in both coolers, your brain is most likely going to tell you have picked a pack of small chops – even when your eyes are closed. This is not wrong. Let’s say you really chose a pack of small chops. Now, if you had to guess what cooler the small chops came from, which would you select? Many would select Cooler A. Why? Your brain concluded that Cooler A has a higher probability of being selected than B. This is a very basic use of Bayes’ Theorem. Given the data, (the amount and type of pack in each cooler), you were able to quickly come to the conclusion that cooler A has a greater probability of being selected than B. 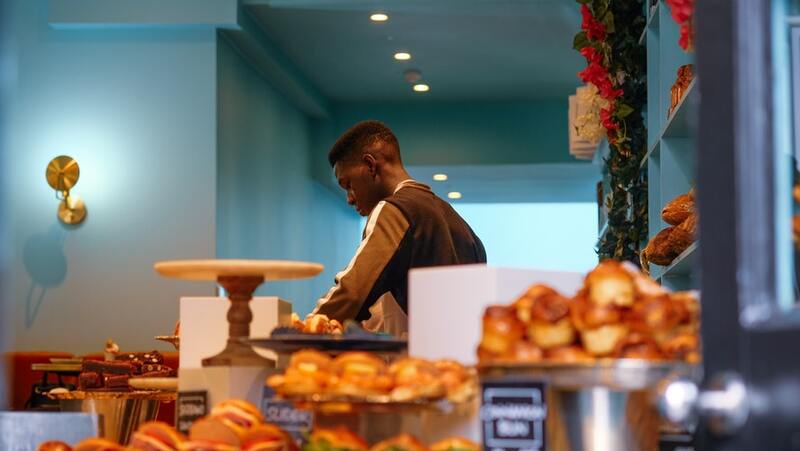 Now using Bayes Formula/Theorem, we’d calculate the probability of picking small chops from cooler A, to confirm the % of correctness of your brain in the selection process. Now, how much we can rely on it to give us the right results if presented with this scenario again? Hence, the Bayes Formula – testing hypotheses and deriving estimates. Step 1: Define your problem. To start, we always need to determine what we want to find. We want to know the probability of Cooler A given that we selected a pack of small chops from coolers A & B. Step 2: Write what you want to find as a formula. 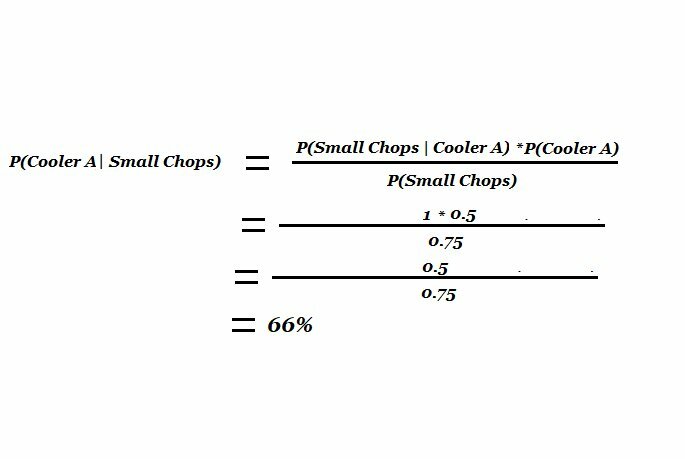 P(Cooler A | Small Chops) = Probability of choosing cooler A given that we chose small chops – as shown in the image. a) First lets find P(Cooler A). We calculate the probability of choosing from cooler A. 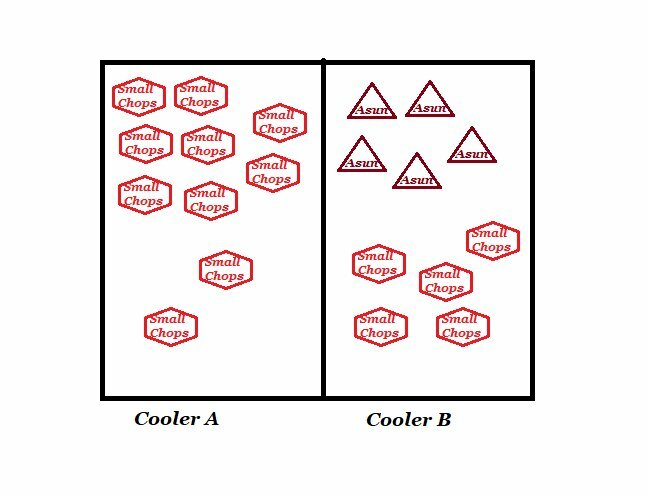 Since there are only two coolers A & B, then the probability of selecting from either is 1/2 or 0.5.
b) Next is to find P(Small Chops). This finds the probability that we will select small chops. Remember, we have 10 packs of small chops in cooler A & 5 packs in cooler B. 15 of them are small chops out of the 20 packs in total. c) Finally we find P(Small Chops | Cooler A). This finds the probability of selecting a pack of small chops given that we have selected from Cooler A. Since there are only small chops in Cooler A, the probability is 1 or 10/10. Step 4: We plug each input values into Bayes formula. We now know that there is a 66% probability that we selected from Cooler A given that we have a pack of small chops. Remember we use Bayes Theorem for statistical inference – testing hypotheses and deriving estimates and that’s what we just did at the Owambe. African Masters in Machine Intelligence Kicks off in Rwanda.